“In theory,” said Homer Simpson, “communism works. In theory.” In theory, volunteer-run libraries are a good idea. What community spirit! What a lovely thing to do in your spare time! The reality is somewhat different. My council (Barnet) this week voted to make my local library volunteer-run (and to cut the size from 3,606 sq ft to 1,991 sq ft). But what does this actually mean? The library will be unstaffed – which means that there will be no toilet or baby changing facilities available and access will be removed for all children under 16, unless they are accompanied by a parent. Access will be ‘technology’ based, by which I’m assuming a pin or key card. When I go to my local library today, I meet the elderly who go there because it is warm and comfortable and free – there is a person of authority there to call an ambulance if something goes awry, to assist them in the use of computers (many are not able to navigate the internet at home even if they have it – and many have to fill out forms and carry out administration), and to help them find a book or newspaper. They have easy access to the library – they can just walk in the door! There are numerous students there who need a place to study because their home environment is not suitable for many different reasons. Having a safe place is crucial, and having a person in authority to help them sift data, do research, or simply keep the peace, is a necessary requirement. Many of these students are under 16. They come after school or in free periods to study by themselves. And they need space. Parents and toddlers roam the library – using the baby-change facilities, participating in staffed story time, rhyme time, craft sessions, and reading books for the first time. They make a mess of the books, but it’s okay because there are staff to help re-shelve and tidy, and manage and run those sessions. Let’s take the idea of volunteers (and let me mitigate that by saying I am a volunteer – have been for years as a governor, a fundraiser, event organiser, community news editor and yes, librarian). Recruiting volunteers is hard. Keeping them is harder – the turnover of volunteers is swift – they get bored, find jobs, and move on. They work at times that suit them, they don’t turn up sometimes (maybe they don’t want to volunteer on their birthday – or when it’s snowing). Their timekeeping can’t be controlled any more than their behaviour. Volunteers do exactly which job they want to do. I’m a volunteer librarian. I work at my local primary school running the library. It’s hard work. And yet, on hand I have – a Head and staff who fully back the ethos of the library, a staff co-ordinator who liaises with the rest of the staff, sorts the library timetable for me, works on library displays, organises book week etc., an IT man who fixes any problem with the computer system. I have on hand a first aider should anything go wrong (not only with the children, but for me too – hefting books around all day comes at a price), and insurance, and help if the fire alarm goes off, or the furniture needs mending. I have a front office to take in parcels of books, help to print labels, and handle invoices. 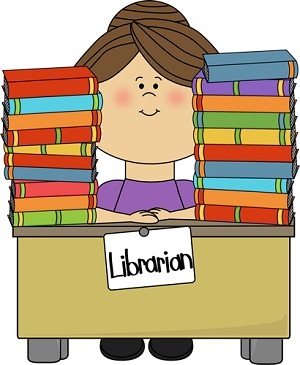 A librarian does more than put books on shelves in the correct order (and even that is tough and time-consuming.) A librarian deals with stationery and labels, has extensive knowledge of stock, orders new titles, weeds out old titles, repairs books, repairs furniture, liaises between libraries, has knowledge in health and safety, does first aid, can handle cash and invoices and orders, deals with overdue items, hands out reminders, issues renewals, has a knowledge and skill for dealing with the building management and fire alarms, manages the public when someone behaves inappropriately, keeps the library clean, organises the library displays, keeps up to date with the technology, and can fix it when it breaks. Librarians schedule sessions for children, local schools, toddlers, reading groups. When a librarian qualifies, they have a Master’s degree – because they have to know research and reference and cataloguing and information systems inside out – they are evaluating information resources, synthesising and organising data. They can assess the stock – is it balanced and up to date and appropriate? How many volunteers will be able to do all this – even the basics – do volunteers know what an ISBN is – or where to shelve a reference book in the Dewey Decimal System? Or know more about literature than the borrowers? I have questions from the children such as “I need to find a book. It’s about animals, and has a pink pony on the cover.” I know which book that child is seeking – do you? And once you’ve trained your volunteers in the basics, they can turn around and leave whenever they want. In my local area, we do already have volunteer-run libraries. Friern Barnet is wonderful, and I don’t knock those amazing volunteers who run it. They are fabulous and need thanking profusely. But even a glance at the minutes of their latest meeting shows how much work is involved – having a volunteer co-ordinator, raising funds through public grants, dealing with security, having a business plan, training, lease negotiations, membership records, author visits, literary festivals. There’s also no evidence about volunteer libraries. There hasn’t been a pilot scheme to show if they are viable, if they survive over a long period. Speak Up For Libraries are collating evidence – but there has been no credible research to date. See their website here. And we need libraries. They are crucial. For the kids who have no books at home (15% of children according to the National Literacy Trust), to the adults who have no internet at home, to everyone looking to expand their mind, to escape, to grow as a person. According to the National Literacy Trust a child who visits a library is twice as likely to be a fluent reader as one who does not. Don’t misunderstand me. I love being a volunteer librarian (despite harbouring strong opinions that librarians and school libraries should be a legal requirement, just as prison libraries are, and that really it’s a paid job), but I’m happy to lend all my expertise to my local school, interact with the children, run a vibrant book space, and encourage a love for reading. It brings me much happiness and satisfaction. And I hope volunteers will help run my local public library. I just think our government, and our local councils are misguided. In Barnet, they made the park-keepers redundant so we have unstaffed parks. What’s next, unstaffed GP surgeries in which you Google your symptoms? You wouldn’t want a volunteer teacher. So why would you want a volunteer librarian?